air joe is proud to serve the Willowbrook community! We are proud to be a part of this community, serving your heating and air conditioning needs: air joe is listed in many directories under titles such as : Willowbrook Heating Contractors, Willowbrook Heating, Willowbrook Air Conditioning, Heating Repair, Air Conditioning Repair, Willowbrook Heating and Cooling Contractors, Rooftop HVAC Repair, Ductless AC Systems, Boiler Repair and Willowbrook Heating and Air Conditioning Contractors. We are here for you whether you need furnace or air conditioner repairs, heating and cooling estimates, equipment replacement or new installation of a furnace, air conditioner, heat pump, rooftop heating and cooling or comfort products to improve the air filtration for your home or business. About Willowbrook, IL - Happy to be your hometown Heating & Air Conditioning Contractor! 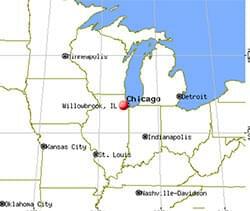 Willowbrook is an Illinois village located in DuPage County, and as of 2012 the population was roughly 8,600. This village was incorporated in 1960 after growing from the former Ridgemor subdivision. It is bordered by other villages including Westmont, Darien, Burr Ridge, Westmont, and Hinsdale. Willowbrook is found within a humid continental climate zone, and while winters are snowy and cold, summers are humid and quite hot. Willowbrook is home to several attractions that visitors and residents might enjoy. Visitors and residents looking for a family-friendly activity may want to try Willowbrook Lanes, and the Ashton Place is a popular event venue. Other popular attractions can be found in nearby Burr Ridge, including the Fred Astaire Dance Studios and Cooper’s Hawk Winery.